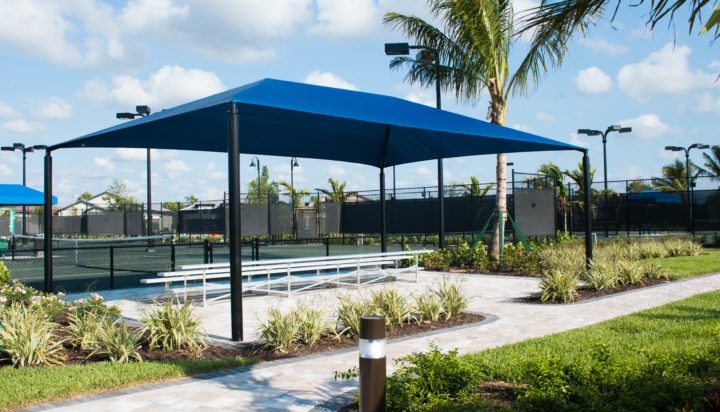 Outdoor activities like pickle ball and boccie ball are a great way to relax and exercise. 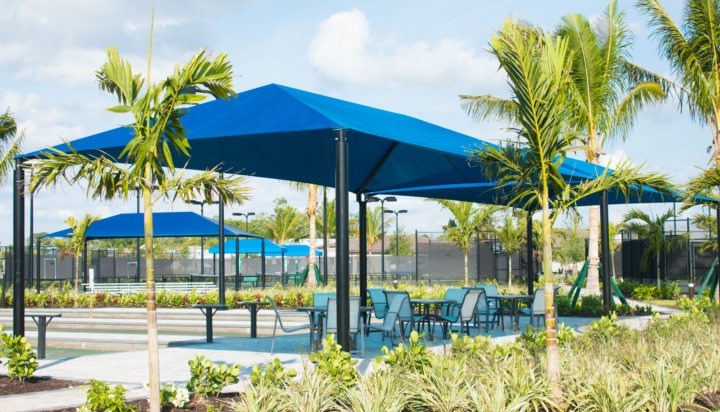 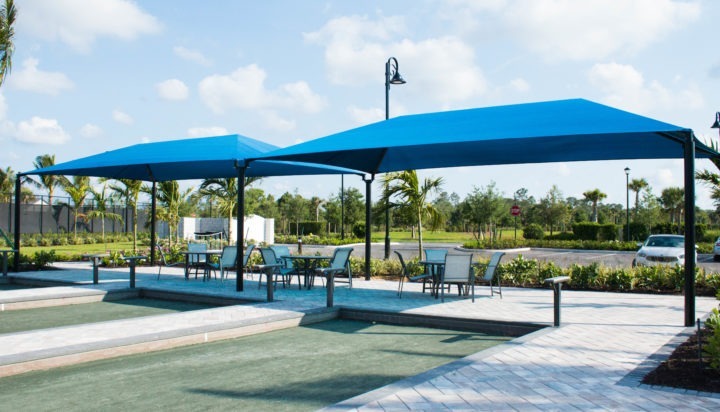 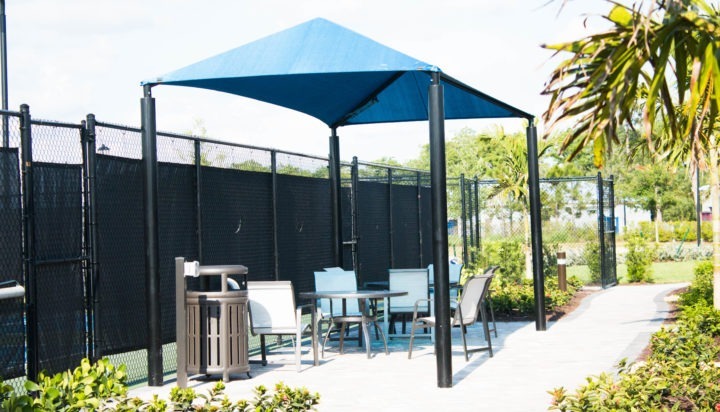 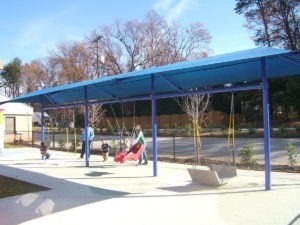 Having quality shade structures in place can make these activities far more enjoyable. 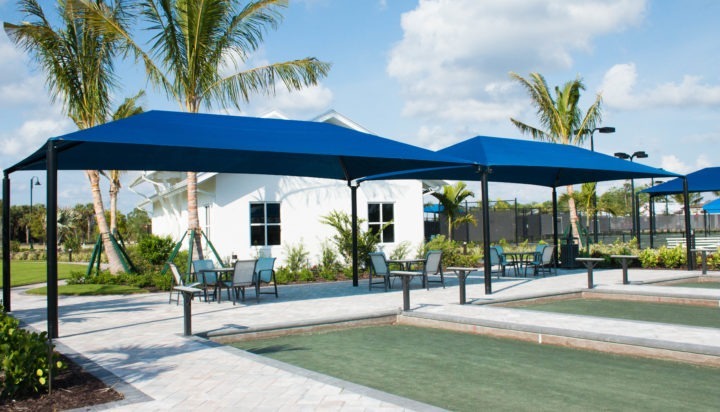 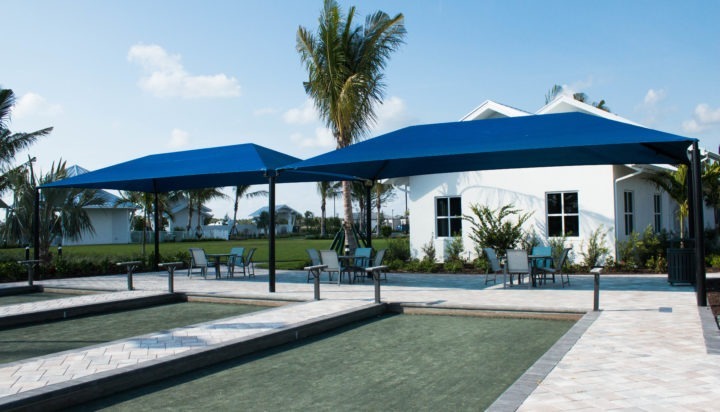 This project features a variety of our shade products that are being utilized for the amenities area at a local community clubhouse.